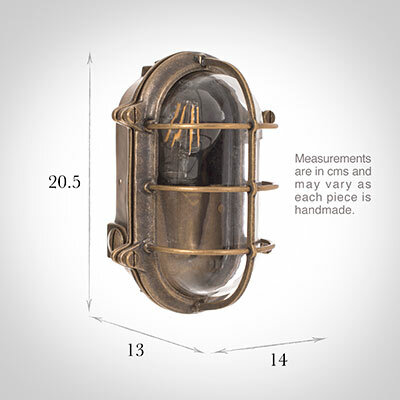 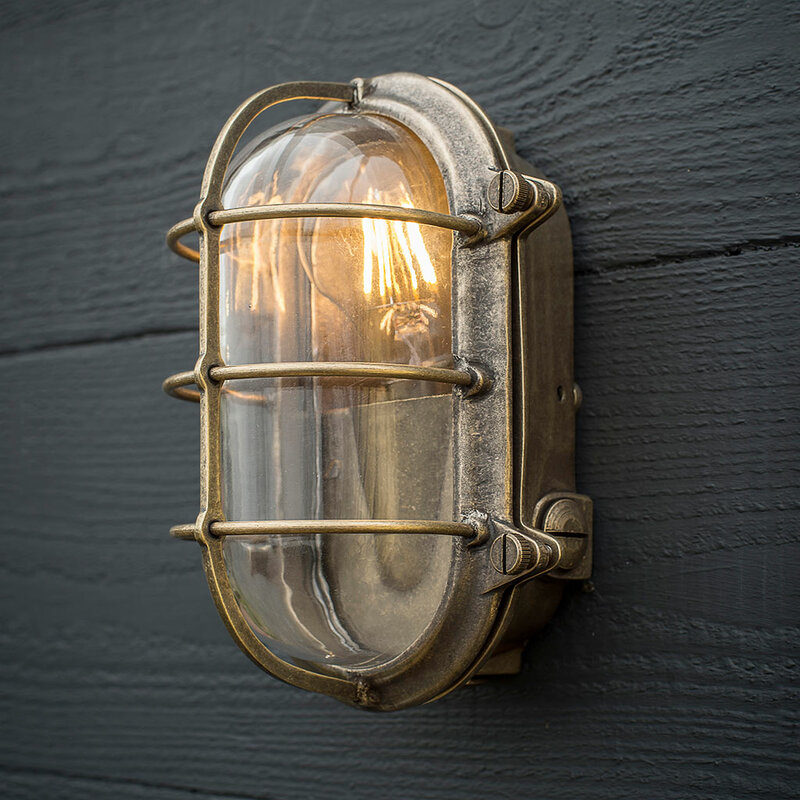 The Bulkhead Outdoor Light is a handsome garden wall light, hand cast in solid, natural brass, with a light antique finish and a robust and practical styling that is reminiscent of shipping and industrial days gone by. 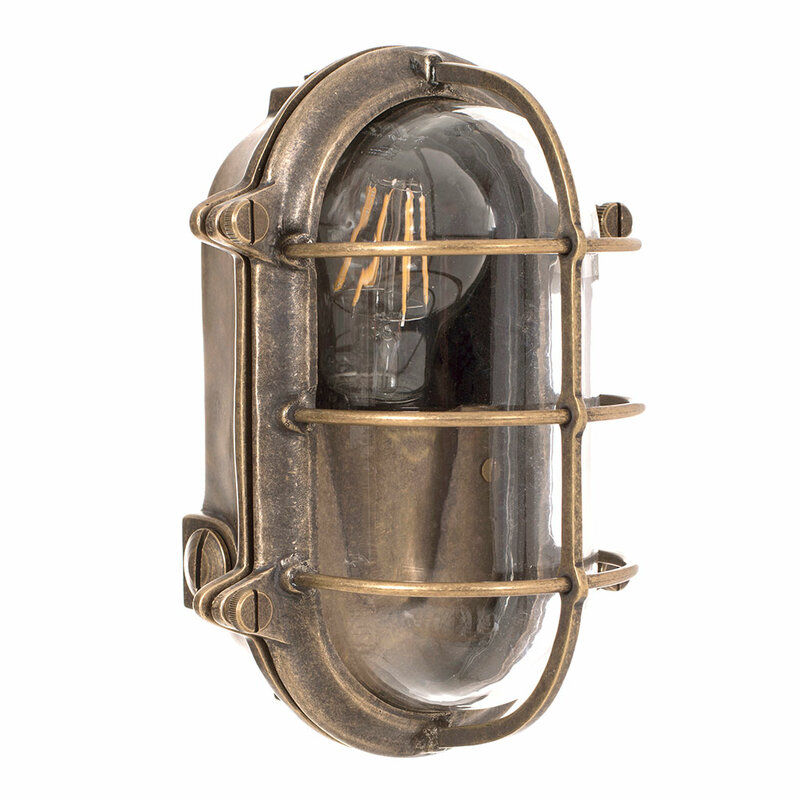 It was originally designed with Jim's family farm in mind as he wanted to create a stylish and practical outdoor light that would conceal ugly exterior wires on his outbuildings. It’s a fantastic example of British design and manufacture and was shortlisted as ‘Product of the Year’ the RHS Chelsea Flower Show. Jim Lawrence has worked hard over the past 20 years to build up an international reputation for producing elegant, high quality lighting and we feel this new addition to the outdoor lighting range really encapsulates the company’s passion for stunning, period-look garden lighting. 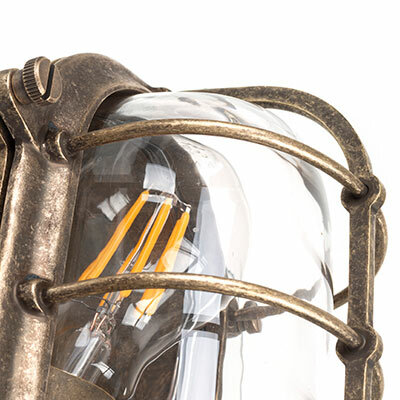 Each of our lights is made using traditional brass working techniques and are hand finished to the very highest standards here at our Suffolk workshop. 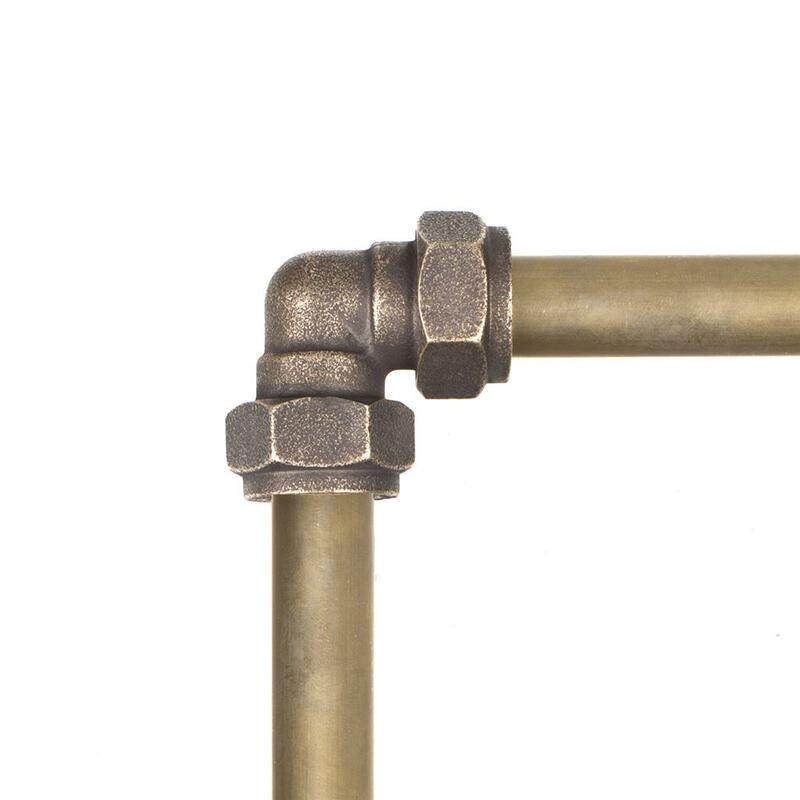 The details of the design highlight the skill of our metal workers and their ability to make products that suit both contemporary and period properties. 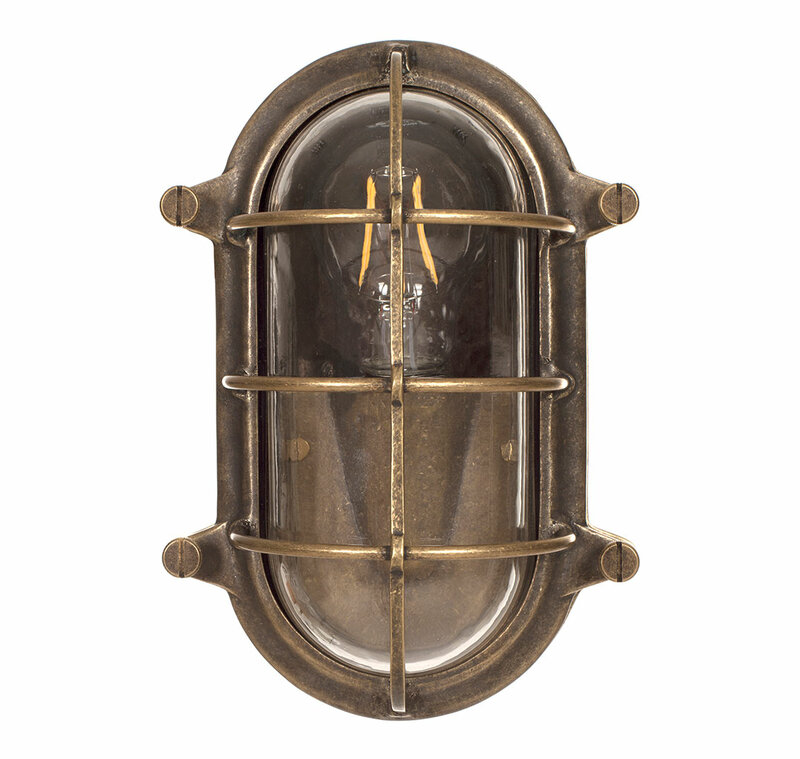 Featuring a combination of a beautiful, hand blown glass shade set in a vintage-style brass cage, the Bulkhead will weather any storm and is the perfect finishing touch to any stylish garden design. 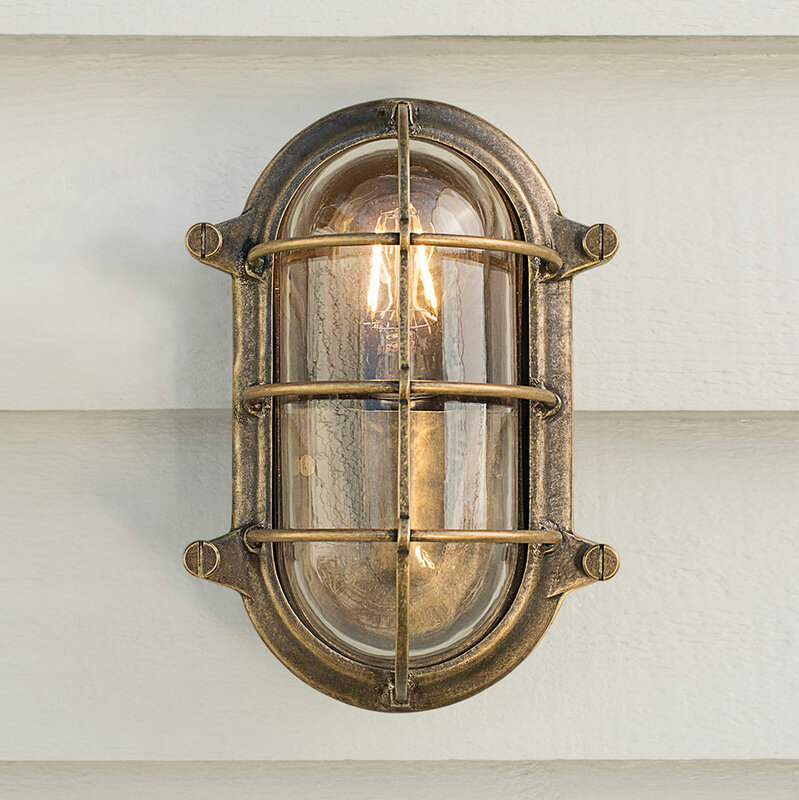 Shown above in our popular Antique Brass finish, it is created by treating solid brass with antiquing solution to speed up the natural tarnishing process and create a lovely aged look that will darken naturally over time. To lighten the brass, just buff it occasionally with a small amount of brass cleaner to return it to its original hue. 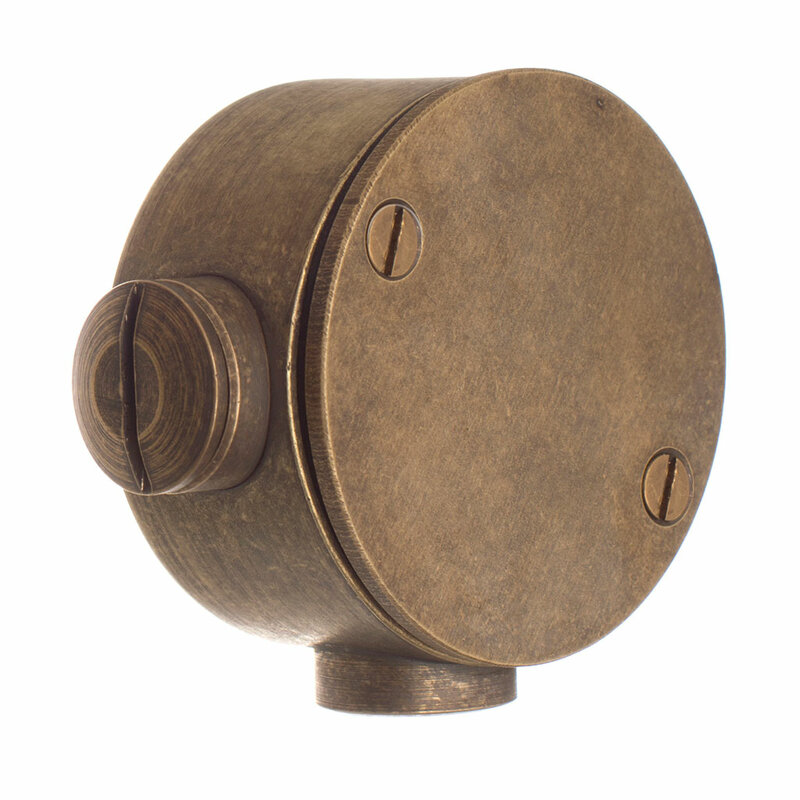 To find out more about our finishes, you can explore our product finish page. 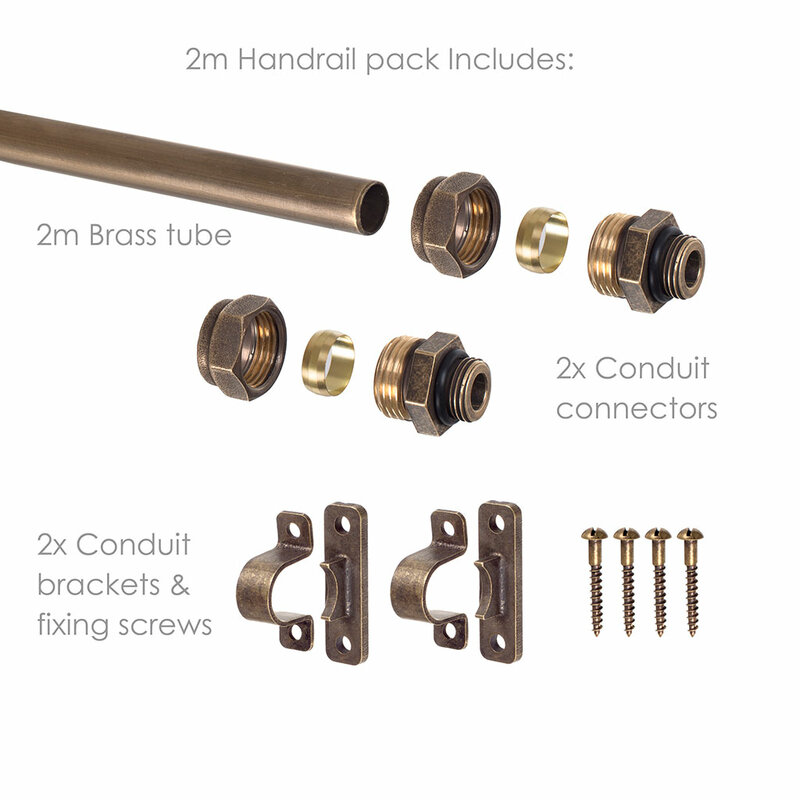 Made in solid brass and fully non corrosive no matter what the lovely British weather throws at it! 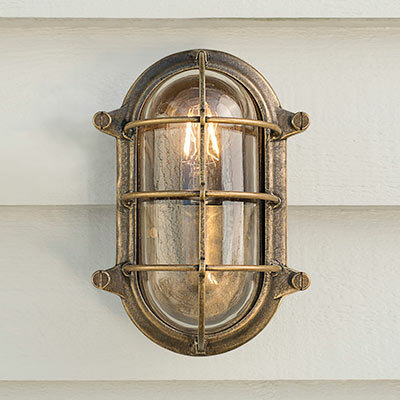 Nautical elements to the design that are perfect for coastal garden designs. 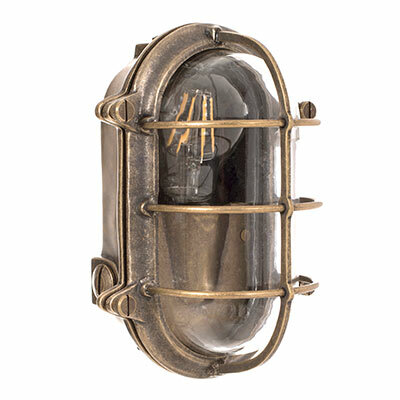 The Bulkhead takes a standard bayonet bulb (BC, B22) and is IP rated 44. For more information about the meaning of IP ratings, please read our ‘Guide to Safe Bathroom Lighting’. We recommend our Classic GLS LED bulb as the perfect accompaniment for your light. 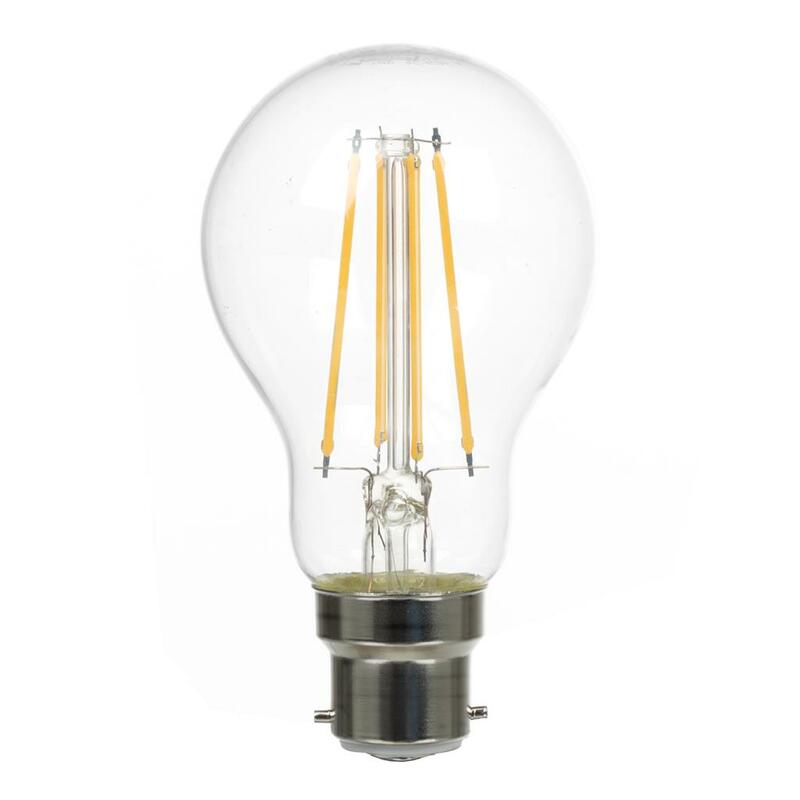 Incorporating the latest low energy LED technology, the bulb gives off a warm white light, lights to full strength immediately and has a lumens (brightness) of 806 (equivalent to a traditional 60W bulb). 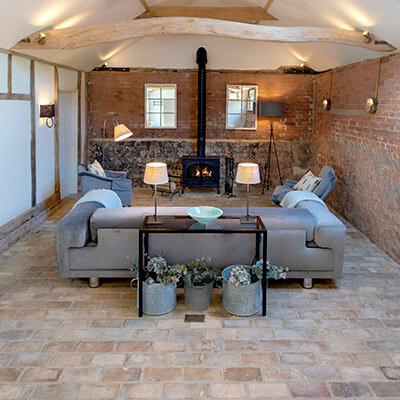 We knew this would be perfect for our courtyard. 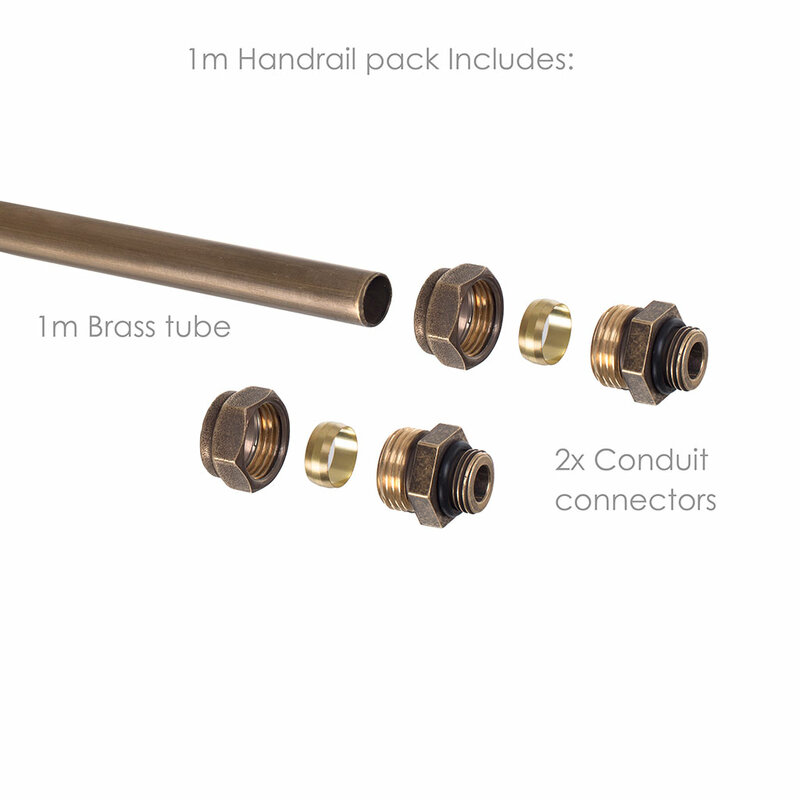 We also bought the other tubes and fittings to go with it, made it much easier to install and looks great. 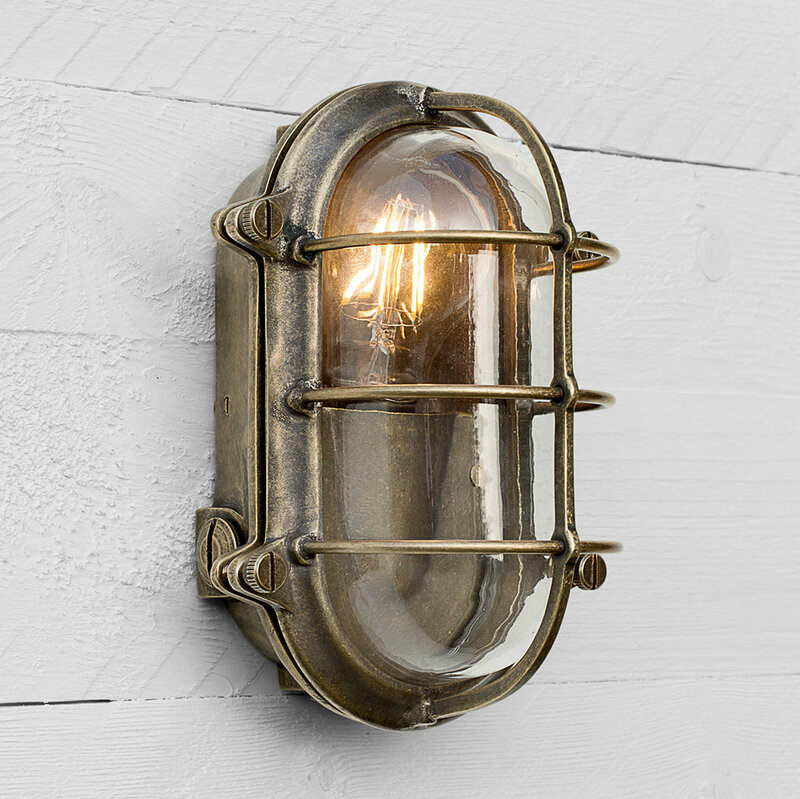 We bought these for my restaurant and we get so many comments about them. 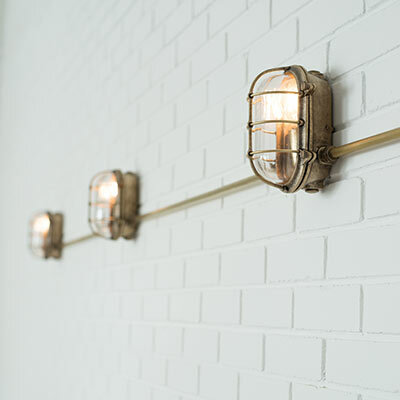 We wanted the industrial look and this was perfect because they are built to last. The brass look is also stunning and to know that these are hand made is even better, well worth it.